d.i.d.a.c.t.i.c. 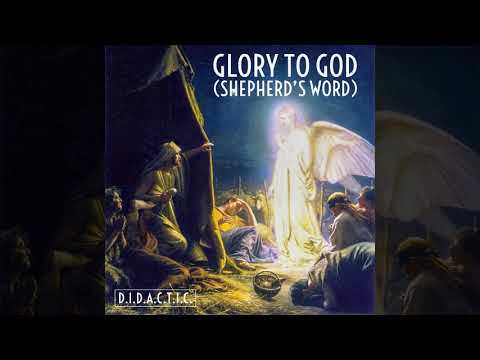 - glory to god (shepherd's word) - d.i.d.a.c.t.i.c. | Holy Hip Hop...Taking The Gospel To The Streets...Since 1997 Holy Hip Hop!Christian Hip Hop!Gospel Hip Hop!Gospel Rap!Hip Hop Gospel!Christian Rap!Taking The Gospel To The Streets! Produced by Pitch Perfect Productions. This Christmas season, experience the account of Jesus the Messiah's birth through the eyes of a disbelieving shepherd named Simeon (Luke 2:8-20). He is despised by the high and mighty and under Rabbinic ban by those who count on him to provide spotless lambs to the Temple. He sees the perpetual sacrificial system as inefficient and inessential. To him, the Scriptures are fictional stories that teach morals. Living amid expectation of Israel's salvation from Roman rule, the persistent evil in the world causes him to doubt the reality of God's existence. However, the pain and suffering he's witnessed in his life will pale in comparison to what he is about to see. Only believing what he sees, he is granted the most amazing sights in the world that first Christmas night. God breaks His silence over four centuries with the Host of Heaven to the lowly people the world forgot. May your doubts be answered this Christmas as you begin Simeon the Shepherd's journey on that fateful night and are reminded of the greatest gift of all - the presence of God in the person of Jesus.